A great smile can mean the difference in how you feel about yourself from the inside out. The accomplished dentists and licensed denturists at Franklin Dental Group create dental implants for adult patients of all ages. 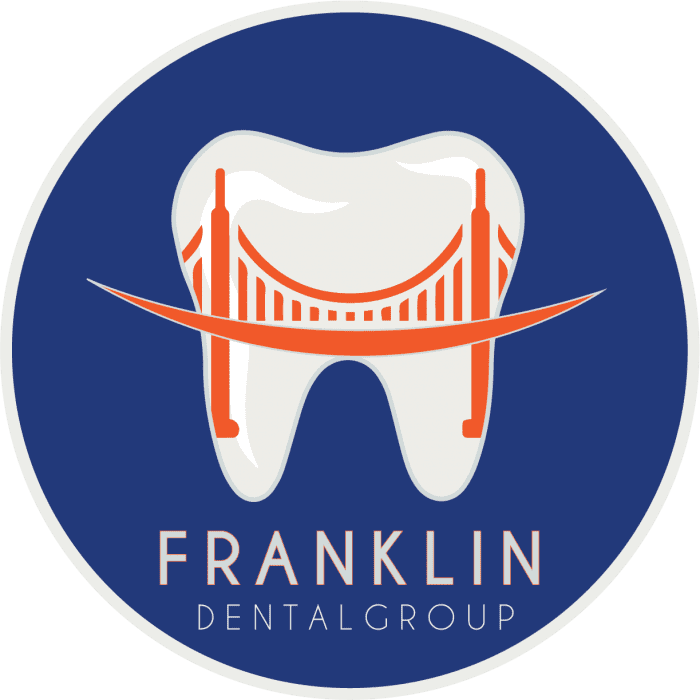 Located in San Francisco, California, Franklin Dental Group's exceptional team can replace severely damaged or missing teeth so you can enjoy your best smile. To learn more, call for a consultation or book your appointment online. A dental implant is a metal post, often made out of titanium, that a dentist surgically implants into your upper or lower jawbone. This screw-like post is like the root of your new tooth. After the post is implanted and your mouth has healed, your dentist will attach the new replacement tooth, or crown, to the metal post permanently. The implants fuse to your jawbone, so they are strong, stable, and don’t shift in your mouth. These posts also help other dental work, like bridges and dentures, stay firmly attached to your jaw. Whether you're missing one tooth or multiple teeth, you may be an ideal candidate for dental implants. Your jaw needs to be finished growing, and your gums must be healthy. Dental implants are an excellent solution for adults, not children. You may also be a good candidate for implants if you're fed up with uncomfortable dentures, or it's time to replace a bridge or partial dentures. Women or men in search of a more permanent, long-lasting solution to dental work tend to be great candidates for dental implants. Get all your questions about dental implants answered during a consultation with your dentist. Implant treatment might be right for you. Ready to take the first step toward a more comfortable, confident smile? Call Franklin Dental Group or schedule an appointment online.